Bring in the stunning elegance of personified romance with this gorgeous Chiffon Collection. 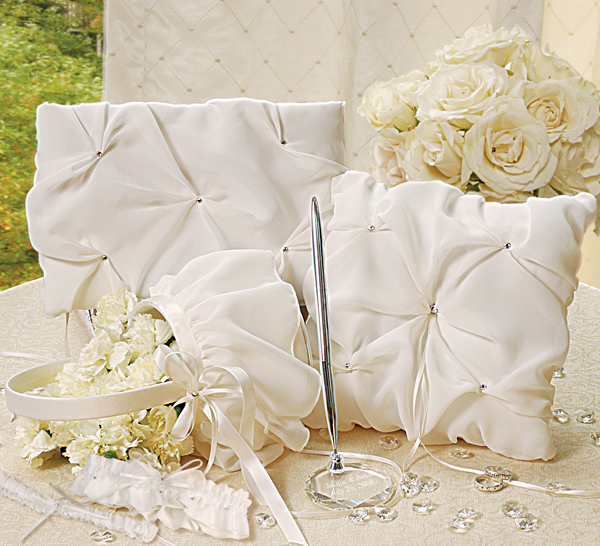 This stunning wedding day ensemble has all you’ll need to make your wedding day a beautiful celebration. Fashioned in flowing chiffon, Swarovski crystals and an optical crystal pen base, this timeless collection will make all your finishing touches truly sparkle. 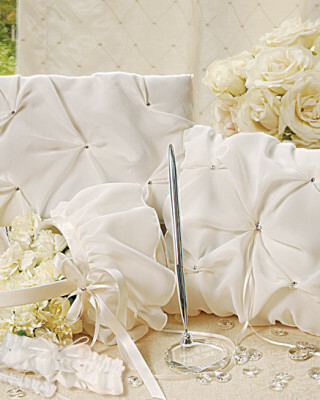 This wedding collection includes: Keepsake Garter & Free Tossing Garter, Guest Book with Optical Crystal Pen, Flower Girl Basket and a Ring Bearer Pillow. Items may be sold separately, but save 10% when purchased as a collection. 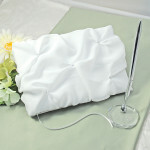 Size: Guest book measures 8 1/2″ by 6 inches. 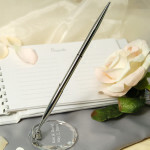 Optical Crystal Pen measures 2 1/4″ by 2 1/4″ by 8 inches. Flower Girl basket measures 8 1/2″ by 4 1/4 inches. 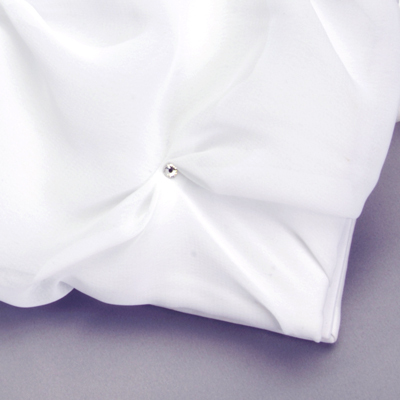 Ring bearer pillow measures 7 1/2″ by 7 1/2 inches. 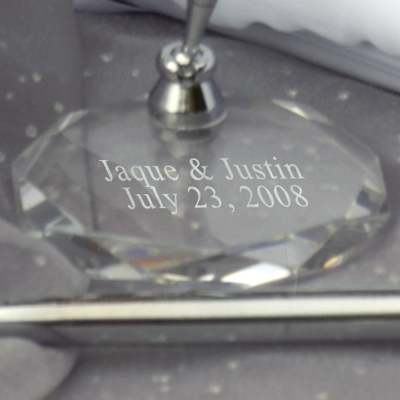 Engraving Options: The Pen & Optical Crystal Base may be engraved with two block custom lines (max of 20 characters per line) at No Additional Cost. Tag: Elegant Chiffon Wedding Collection.